CHICAGO/NEW YORK (September 1, 2011) - In These Times is excited to announce that Lindsay Beyerstein will be debuting her new blog, Duly Noted, as part of an upcoming relaunch of InTheseTimes.com. Her first post at Duly Noted will appear Wednesday, September 7. Beyerstein’s appointment comes after a national search by the magazine to find an experienced reporter to create and maintain a blog covering a variety of topics, from electoral politics to social movements, from fine arts to popular culture. Duly Noted will cover everything from the ongoing war on reproductive rights to the latest movies, books and television, and from the GOP primary race to groundbreaking scientific research. As a freelance investigative journalist, Beyerstein previously worked as a political reporter for In These Times, and has been a regular contributor to both the magazine and, more recently, the labor blog Working In These Times. Her work has appeared in Newsweek, Firedoglake, Salon, Slate, AlterNet, the New York Press, The Washington Independent, RH Reality Check and other news outlets. Her photojournalism, which will also appear in Duly Noted, has been featured in New York Times City Blog, the Wall Street Journal, Time and other publications. 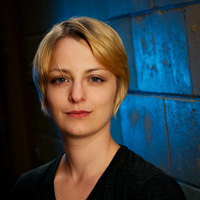 One of the Web’s pioneer bloggers, Beyerstein first became known for her blog Majikthise (2004-2010), which in 2010 became Focal Point at Big Think. Beyerstein is the winner of a 2009 Project Censored Award for “Examining the Homegrown Terrorism Prevention Act,” published in In These Times in November, 2007. She currently also covers media and labor issues for The Sydney Hillman Foundation, and works as The Media Consortium‘s social media curator. A native of Vancouver, Beyerstein holds a BA in psychology from Simon Fraser University in Burnaby, B.C., and an M.A. in philosophy from Tufts University. She lives in Brooklyn with Darcy James Argue, her partner and the leader of Secret Society, an 18-piece big band. To receive In These Times’ weekly e-newsletter and sign up for the Duly Noted newsletter after Sept 7, go here.